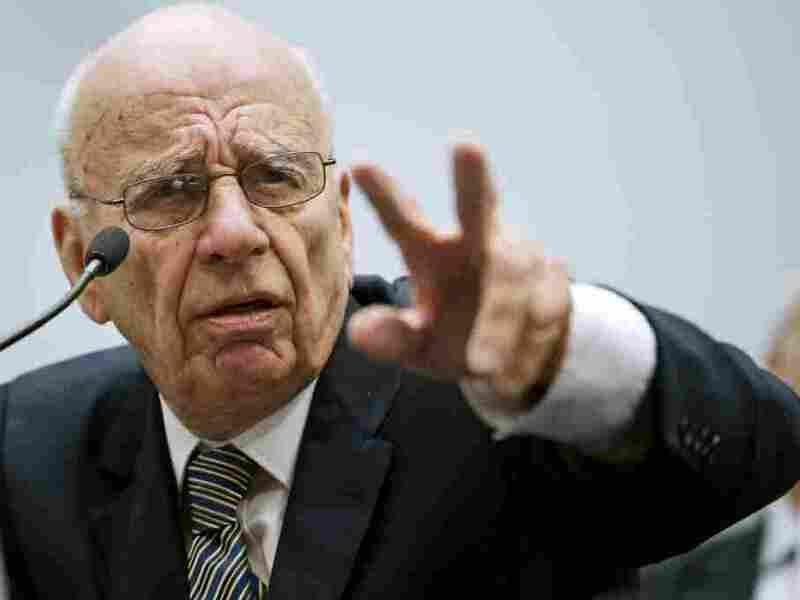 News Corp's GOP Contributions Raise Eyebrows : It's All Politics News Corp., run by media mogul Rupert Murdoch, gave $1 million to the U.S. Chamber of Commerce, raising eyebrows after the Fox News Channel parent also gave $1 million to the Republican Governors Association. Attracting attention, especially among us media types, is the news that News Corp., the media giant run by Rupert Murdoch, made a $1 million contribution to the U.S. Chamber of Commerce, a Washington-based advocacy group whose agenda tends to line up more neatly with Republicans than Democrats. The contribution from the corporate parent of Fox News Channel and The Wall Street Journal, was reported by Politico.com. What makes it noteworthy is it follows another $1 million contribution from the company to the Republican Governors Association. It also appears to be a shift in strategy, Politico.com reports, from the company's pattern of splitting its contributions more evenly between parties in the past. As Politico notes that other media companies have tended to give smaller amounts and split them between parties in an effort not to appear partisan which could undermine their news operations being able to persuasively declare their political agnosticism. In the past, News Corp. has also spread its donations between candidates of both parties. The huge gift to the RGA raised questions among some media critics about whether News Corp. had crossed over an inappropriate line for a media company. The second donation is likely to rekindle that debate – and to make both News Corp. Chairman and CEO Rupert Murdoch and Fox News even more of a liberal target. One interesting aspect of this is how it demonstrates that while all U.S. citizens are constitutionally guaranteed freedom of speech, some have much more freedom on that score than others. Like Murdoch, for instance. Not only do the media properties he controls reflect his conservative, pro-business sensibilities but some of the money those assets make is being directed to political groups that reflect his sensibilities as well. That gives Murdoch one mighty big megaphone. Nothing illegal about that. Simpy worth noting.